Our totally renovated home is spacious, flooded with natural light, and modern. The large kitchen and dining area opens onto a patio. Also downstairs are a big utility room, playroom, walk in hotpress, bedroom/study with bathroom, and large sittingroom opening out to garden with two patios. Upstairs are three bedrooms (some with sea views) and a bathroom. Our large, safe, private garden has swings, large enclosed trampoline, rope swing, vegetable patch, polytunnel, and henhouse for our hens, as well as lawns and flower beds. It is a lovely family home to spend time in. We are Mark and Susan, a solicitor and a teacher. We have three sons aged 11, 13 and 14. 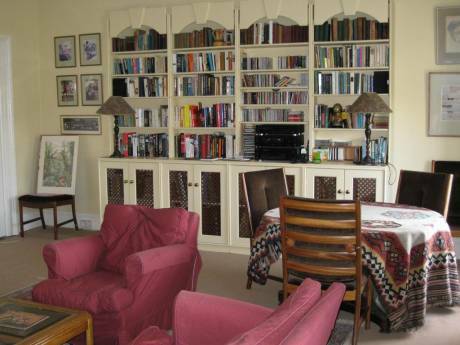 We have had five very successful exchanges so far, and feel we have a lovely place in a great neighbourhood to offer. We love our garden, our vegetables and hens, the great outdoors, and discovering new places with our kids. 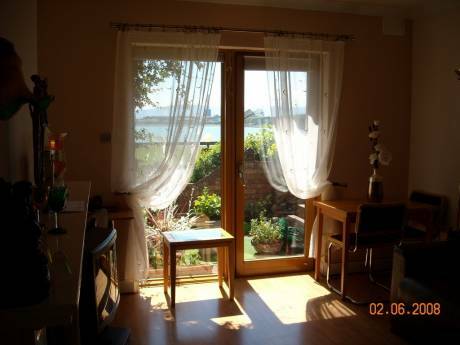 We are one minutes walk from the sea (you can hear the waves from the house when the wind is in the east!) and ten minutes walk from a huge park with fields, football pitches and a playground. 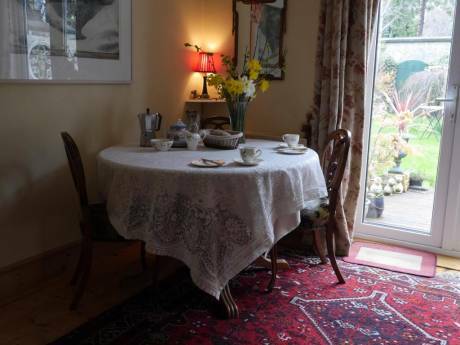 This is a quiet seaside family area within easy reach of Dublin city centre (30 mins by car, train or bus) with all its shopping, museums, galleries, theatres, pubs and atmosphere. The Wicklow Mountains (great hiking, golf, outdoor activities) are nearby. This is also a great base for exploring the rest of Ireland - we are five minutes from the M50 ring road, which connects you to main roads to all parts of Ireland.